One of the reasons I moved to the Dordogne was for the slower pace of life. When I lived in England, people seemed to be always on the run, desperate to try and do as many things as possible (either trying to make or spend money usually). This feeling was often re-inforced by the non-stop bombardment of advertisements encouraging such behaviour. Here, things seem a little different. People take time to look around them at their surroundings and sometimes just ‘be’. I thought this attitude was neatly summed up by this cat I caught napping on a shelf (I know, the internet doesn’t really need another picture of a cat sleeping but never mind). He was so enjoying himself that he could only be bothered to open one eye to see what might be about to interrupt his relaxing afternoon. That’s about as chilled out as you can get right? 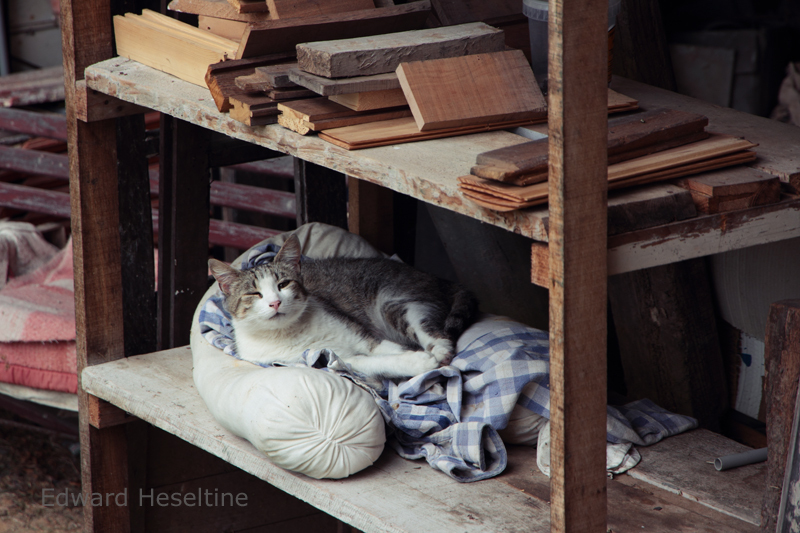 I am glad to see that French cats are just like their English counterparts – they always find a good place to sleep.